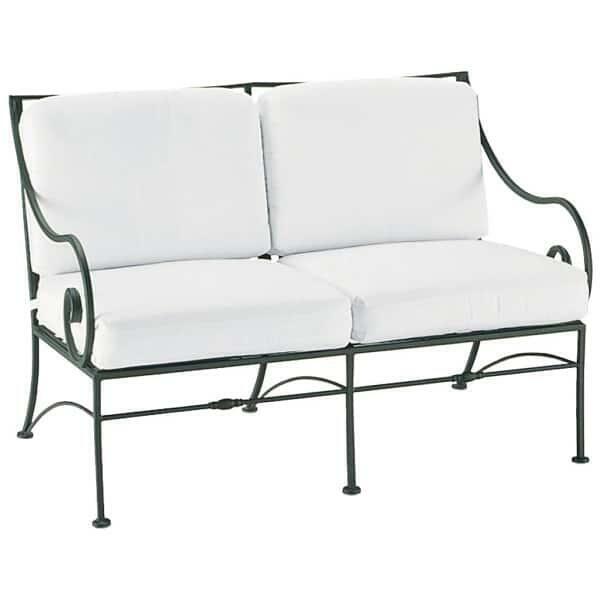 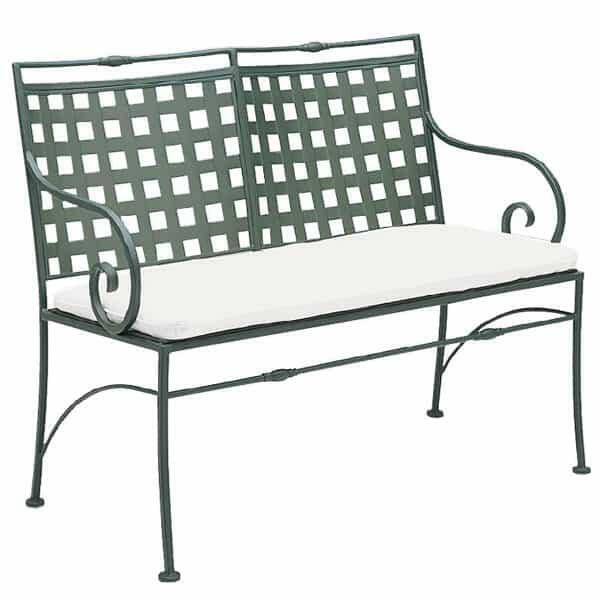 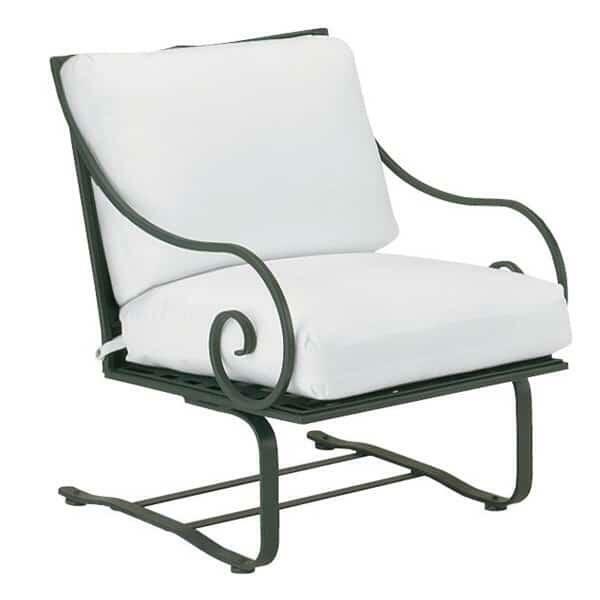 With a design that is extravagant but not excessive, the Sheffield Wrought Iron Deep Seating Collection from Woodard will bring value and eminence to any outdoor area. 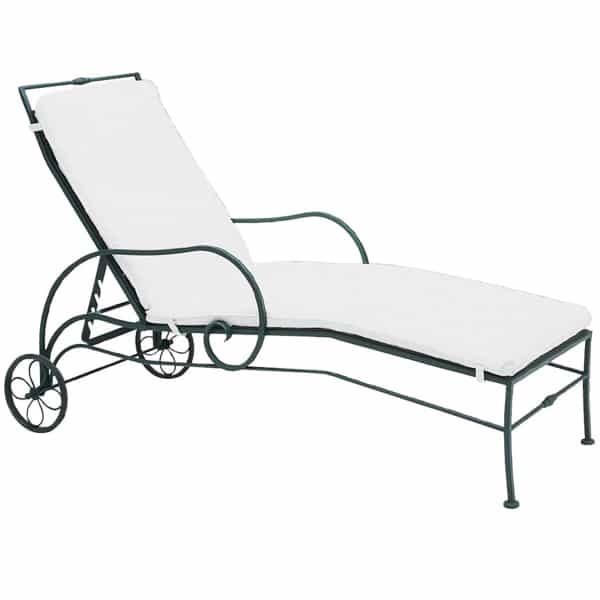 Woodard has been a pioneer in the patio furniture industry for more than 100 years. 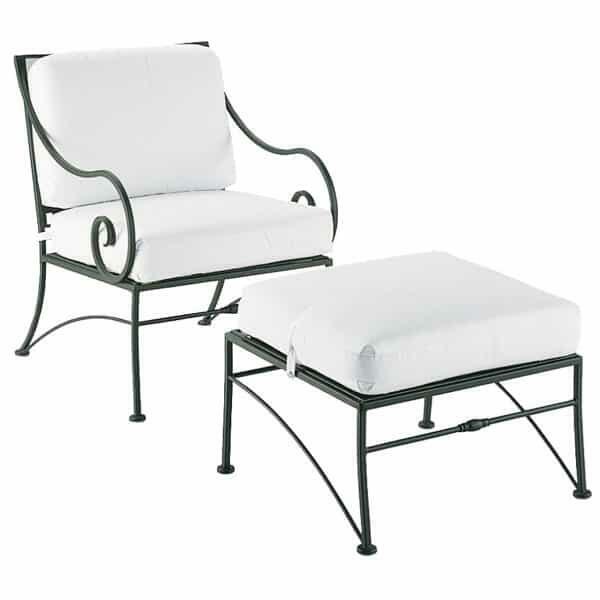 Each piece is designed to stand the test of time, with antique elements purified to create modern patio furniture that will resist the damaging elements of outdoor use. 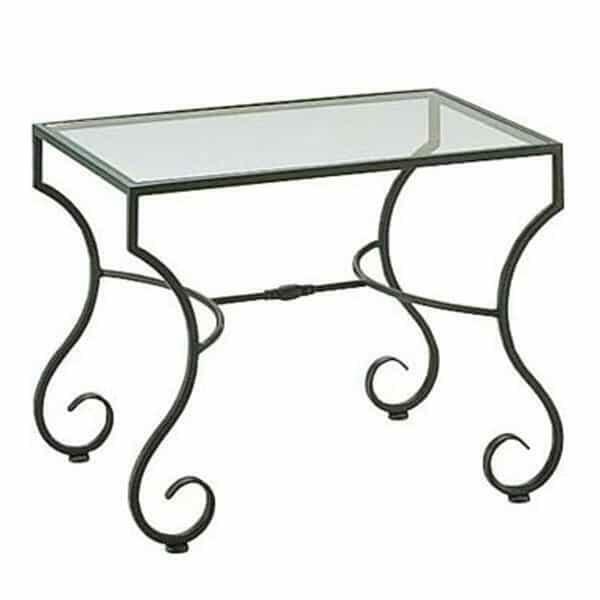 This collection showcases hand-rolled heavy-gauge wrought iron formed into pieces that carry individual quality. 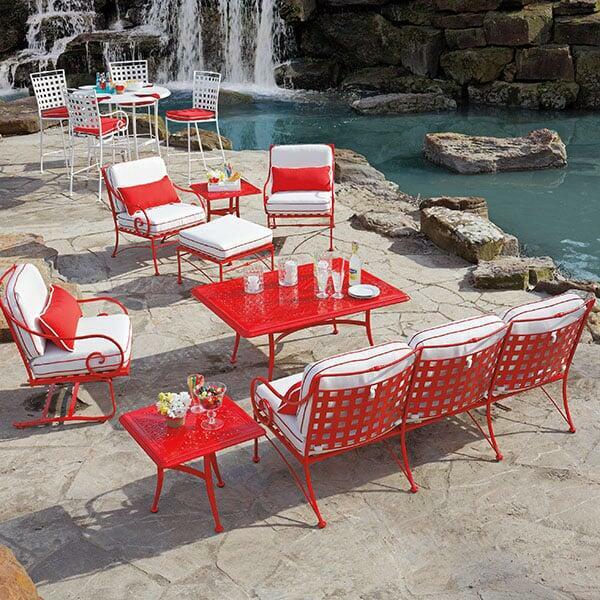 When you purchase Woodard patio furniture, you are assured that you have invested in quality and engineering that will last a lifetime. 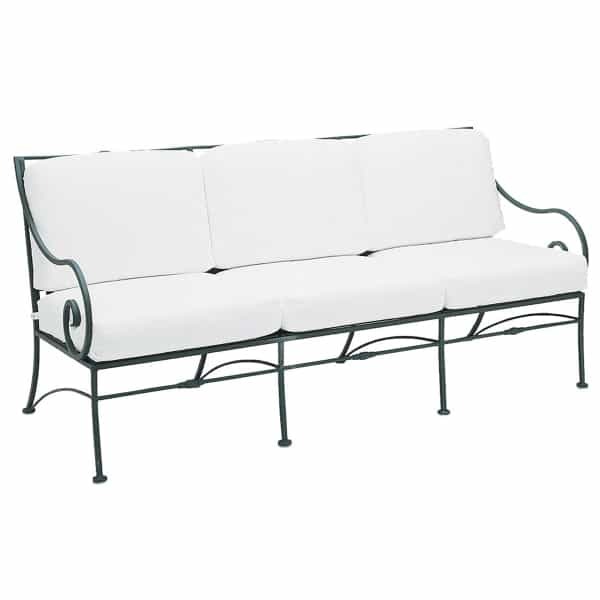 W 72" x D 32.3" x H 33.9" LBS 102 SEAT HEIGHT 18"
W 48.9" x D 31.6" x H 33.9" LBS 77 SEAT HEIGHT 18"
W 25" x D 30.5" x H 32.3" LBS 49 SEAT HEIGHT 18"
W 25" x D 32" x H 33.4" LBS 42 SEAT HEIGHT 19"
W 48.4" x D 34.3" x H 38" LBS 49 SEAT HEIGHT 18.5"
W 29" x D 78.6" x H 24.6" LBS 86 SEAT HEIGHT 19"